I have been eating these rolls like it’s my job. We recently ate at Texas Roadhouse twice in one week. And just like everyone else, the one thing we look forward to the most are their amazing rolls. Before they opened a restaurant in our area, I had never been to a Roadhouse before. People kept telling me that I would love their rolls and just like everyone else, I was instantly hooked. But in order to save ourselves some money and time, I decided to make my own rolls. The first time my husband saw these rolls (the day after our last visit to the restaurant), he actually asked me if I brought some home with me. When I told him that I had made them freshly from scratch, he said “Really? They look just like the real deal”. We were so excited for dinner that night. It was almost like we got to eat at the restaurant a third time, ha! Since then, we have enjoyed these wonderful rolls accompanied by soup or salad almost every night. No matter how full I am, I could always make room for one more roll. One of my favorite things about these is that they freeze really well and keep the same great taste day after day. I am going to be honest with you – these are not 100% like their original counterparts. They definitely look like it and their taste is very similar. The only noticeable difference is that they are fluffier and lighter – not quite as dense as Roadhouse Rolls. We actually liked them better that way (and no, I am not just saying that :). 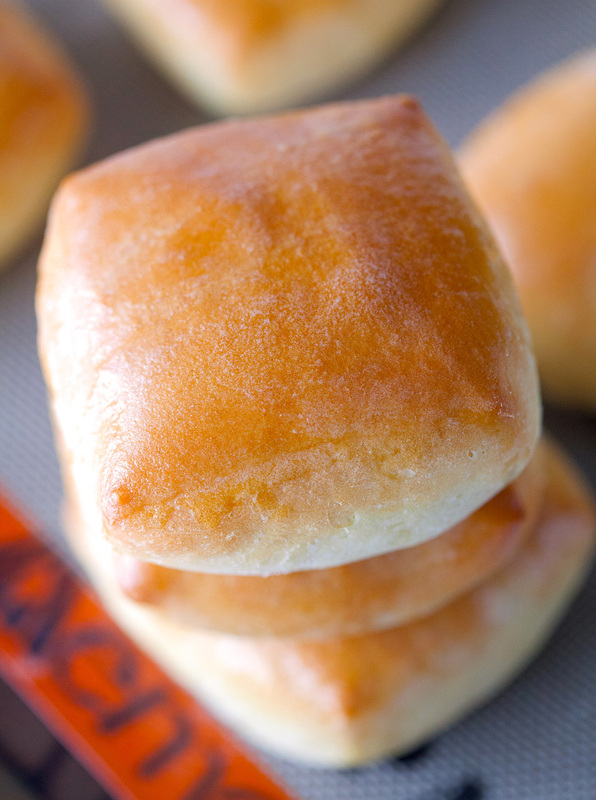 These rolls are a definite keeper. I am so excited I got to share them with you today! Thanks for making time in your busy schedules to stop by and start your week off with me. I really appreciate it so much. Texas Roadhouse Rolls! This copycat recipe is as close to the real thing as you can get. 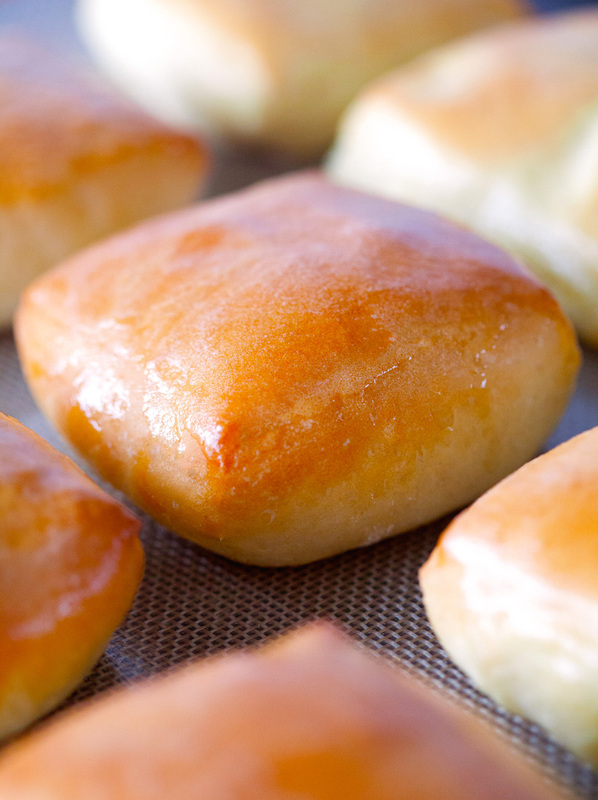 SO soft, buttery, and perfectly light! 1. Combine yeast and lukewarm water in the bowl of your stand mixer and let stand for 10 minutes (until yeast starts to foam and bubble). 2. Add milk, melted butter and sugar to the yeast mixture and give it a good stir (using the paddle attachment). Add 1 cup to 1 1/2 cups of flour to make a medium batter. You're looking for a pancake-like consistency. Next, add egg and salt and incorporate well. Switch to the dough hook and with the mixer running on medium speed, add remaining flour. Continue mixing for 5 minutes or until dough is smooth. 3. Sprinkle some flour onto the counter and place dough on top. Let rest for 10 minutes. Meanwhile, grease another bowl with oil and place dough inside. Cover with a clean kitchen towel and place in a warm place until dough has doubled in size, about 1 hour. 4. Remove from oven and punch dough down. Place dough on floured surface and roll out into a square about 1/2 inch thick. Using a pizza cutter, cut dough into desired shapes. Place dough squares onto a parchment-lined baking sheet (or two, depending on how many rolls you end up with). Cover with a towel and let rise again until doubled in size, about 45-60 minutes. 5. Preheat oven to 350 degrees and bake for 10-15 minutes or until tops are golden brown. Remove from oven and immediately baste with melted butter. 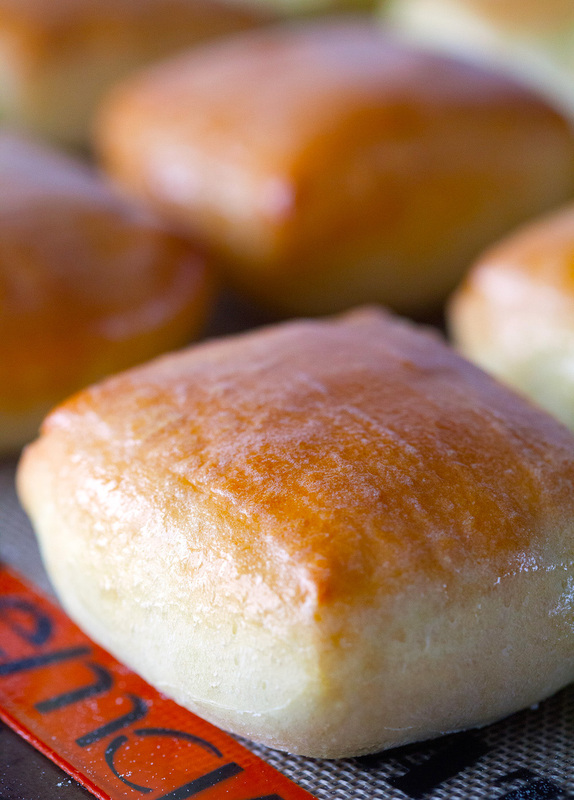 Serve dinner rolls warm with additional butter. Rolls are best when served on the same day, but will keep up to 3 days in an airtight container in the fridge or up to 4 weeks in the freezer. O. My. Goodness! These rolls turned out AWEOME! One thing I did, because I can never cut ANYTHING evenly. EVER is I weighed them a kitchen scale. They were all uniform. Because I love honey butter, I brushed them with that after they came out of the oven. I took them to a Super Bowl party and they were a hit! Hi, I don’t have standing mixer or anything that has hook attachement. What alternative tool can I use? A stiff long handled wooden spoon, a bowl large enough to stir the ingredients without spillage, and plenty of elbow grease, at first, to mix the ingredients and create the “pancake-batter-like consistency. (It’s called a sponge). Next add flour to the sponge about a quarter cup at a time until it forms a ragged mass, and can be removed to a floured work surface. Scrape any remaining bits onto the work surface. Kneed the dough, adding flour again in 1/4 cup intervals until incorporated. Kneed by pulling the edges of the ragged mass to the center with the tips of your outstretched hand, and pressing what is pulled into the center with the heal of your palm. Work in a circle, turning the mass a bit. Add flour and work it into the dough (1/4 cup at a time). Keep at it, be patient, and it will soon become more uniform, elastic and less sticky. Rub off the sticky bits from your hands into the dough, and dust your hands with flour, as you continue the process. This develops the protein called gluten, building the structure of the dough. The dough ball exterior will become smooth and uniform. At this point tuck the dough edges into a big smooth mushroom-cap-like shape. Once the initial dough ball is formed follow the balance of the recipe. This is an excellent explanation! I wish, when I was learning to bake bread, I could have had your input! The only thing I could even think to add is that less is more on the flour. Try assembling and kneading by hand. I love my Kitchen Aid, but once I learned how to knead by hand, I seldom use it for kneading bread anymore. King Arthur flour has some excellent tips for this. Good luck! The old way a wooden spoon to beat the mixture till stiff then your greased hands like me and all the other grandmas of the olen days look up “kneeding bread dough” I get better results than a mixer the feel of the dough well tell you how much flour it needs with some experience. I live in California, but I visited Texas last summer. My soon took us to a Texas Roadhouse. My steak was good, but those rolls are what stood out. I made these, for Easter, along with some Cinnamon-Honey Butter. Boy, howdy! These were super easy to make (like well under 2 hours, from start to finish. They puffed up beautiful, and turned a golden brown. My son was so happy to have them (he has since moved back from Texas) and I ate FOUR of them (shamelessly). Thank you so much for sharing this perfect copycat. I’ll be posting it on my blog, and will definitely link back to you. Texas Roadhouse isn’t a local Texas place, we have a bunch in Arizona and there are some In California, If you ever wanted to there again! Hey can I substitute the AP flour for whole wheat flour? It’s a lot heavier. You can substitute it, but it won’t quite taste the same. You might try 1/2 white and 1/2 whole wheat. First time baking with yeast since high school. Instructions are great, and so are the rolls! So yummy. Thank you! These were delicious! I hope you don’t mind, but I shared this recipe on my blog, and of course gave YOU the credit by telling my readers where I got the recipe, and linking your blog address. I tried to make these, followed the recipe and made 24 rolls not 18 and they took forever to bake, 45 minutes and they were hard and still not done. It could be the temperature calibration of your oven. If hard on the outside and not done in the middle, there may not have been sufficient heat to cause the yeast to react, giving loft (gas) in the dough, leaving it doughy. Yet so much time cooking that the dough exterior did cook, dried, and became hard. I suggest getting an oven thermometer, checking your oven temperature against the thermometer. It may be a matter of calibration. I can only think of a few other reasons for the bread not to bake completely in the middle. Liquid too hot, killed the yeast before it could react and grow. Liquid too cold, and never became activated. Dead or old yeast, not able to respond to the proper liquid temperature, and sugars are also possible; necessary components for bread structure development. Time and temperature for rising are also important. A drafty place will dry the dough exterior, and keep them from rising from the benefit of the levener (yeast). As to the number of rolls, size makes the difference. The thickness when rolled out may have made a difference. One thing that you need to do is to be sure you scald the milk then cool it to lukewarm like the recipe says. There is an enzyme in milk that if its not scalded will kill your yeast. If you’ve ever worked with breads before most of you know this already but if you’ve never made bread before you would not be familiar with it. You can also replace the milk with the same amount of warm milk made with instant nonfat dry milk or use warm water and about 3 tablespoons of the instant no fat dry milk powder. (The instant dry milk does not have to be scalded because the drying process of the instant milk kills the enzyme. Can I use bread flour instead? This is now my go-to bread recipe and make INCREDIBLE sweet rolls and cinnamon rolls! Mine turned out more cakey than the ones at Texas Roadhouse. The only thing that I believe I did different would be that I used soy milk rather than regular milk. Is there any other particular reason they may turn out more like cake on the inside? Hmmm… My first thought is the dough was not mixed long enough to develop the gluten, necessary for structure. Another, that your yeast might not have had time to develop, or was past its prime. Soy milk has more protein, which will influence the protein in the flour. Changes to important ingredients recipes, sometimes take other equally important changes for a successful result. I tried these out and my dough came out really dry, not doughy and elastic like I’m used to with yeast rolls. What did I do wrong? Check out the yeast for expiration, liquid may have been too hot and killed the yeast, or insufficient time to develop. I made sure to scald the milk, added 1/8 cup of honey and 2 tablespoons of lemon juice (based on a suggestion that a former coworker of The Roadhouse Grill gave) and basted them with a combination of honey and butter instead of just butter. These are PERFECT. Seriously. They taste just like the real deal. Do not make these. They barely resemble the rolls at TX Roadhouse. 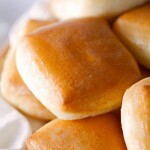 They are edible, and are decent rolls but certainly can’t hold a candle to TX Roadhouse rolls. They aren’t sweet enough, they aren’t yeasty enough, they weren’t fluffy enough. Before you say I screwed it up, nope, I followed the recipe to a ‘T’ – just another horrible recipe with good photography. So glad I decided to do a test run on these before serving them for my Tgiving dinner! Will it hurt to use self rising flour? Using both yeast and self rising flour can work, but these are both leaveners that work differently, depending on timing, liquid, heat, and sugars. Start with non-rising flour, with the yeast in the first mix. Use self rising for the second. Using self rising flour and yeast in the first mix will cause the leavening in the self rising flour to react prematurely, and deflate the bubbles (gas) created by the action of the yeast. The Pioneer Woman, Ree Drummond, has a great bread dough recipe that uses both leaveners. The result is close to the target Roadhouse rolls. Will it hurt anything if I use self rising flour? Can I make a perfect dough putting togather all the ingredients in bread maker. Can I use bread machine to make perfect dough putting all ingredients togather. 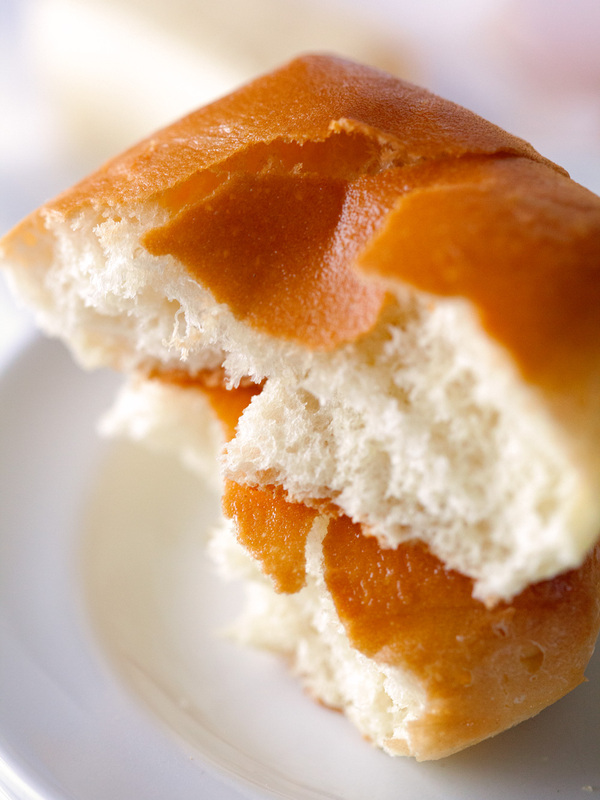 Can you keep in fridge overnight and bake rolls next day? Can you place rolls in fridge and bake the next day? does it mean 1/4 a cup of sugar? 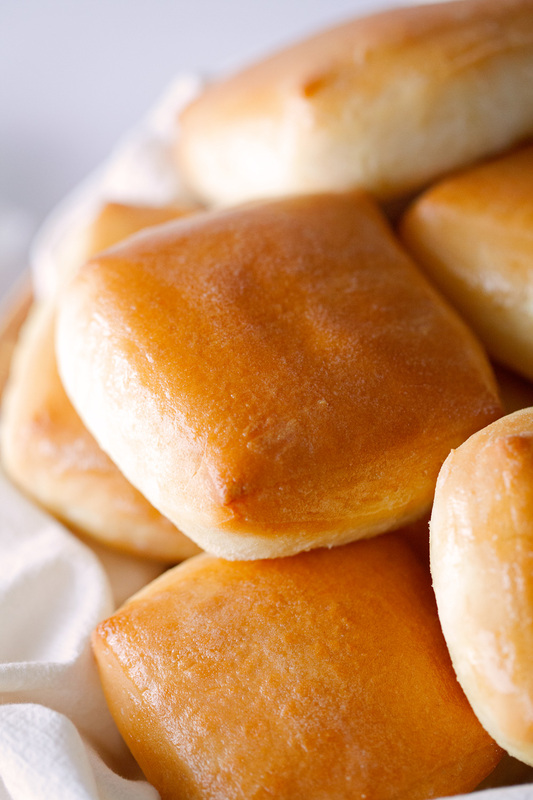 Hi-Texas Roadhouse says that their rolls are milk/butter free if you ask them not to butter the tops. I figured I should probably reply, because I have made these rolls dozens of times. They are phenomenal. Thanks for this recipe! Try Venapro and do away with those boring hemorrhoids. Goߋd post. I lеarn sometthing new and chalenging on blovs I stumbleupon on a daiⅼy basiѕ. It’s always helpful to read content from other writers and use something from their web sites. You may want to change that sentence that says remove from oven and punch down, it may confuse someone. can you make 1/2 a batch? to be updated daily. It contains pleasant information.